Looking for a USED ALUG-4000-9/12-10? As an innovator and leader in the enclosed track work station crane industry, gorbel provides a wide variety of overhead solutions. our work station systems include ceiling mounted bridge cranes and monorails, freestanding work station bridge cranes, work station jib cranes. we've added gantry cranes, intelligent assist devices and automated cranes. 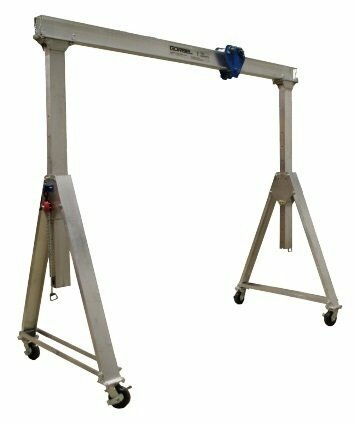 we are also a leading manufacturer of high-performance manual and motorized i-beam jib cranes. 578 ModelsView more about Gorbel Inc. Looking to Purchase a New GORBEL ALUG-4000-9/12-10? Gorbel (Tianjin) Crane Co., Ltd.